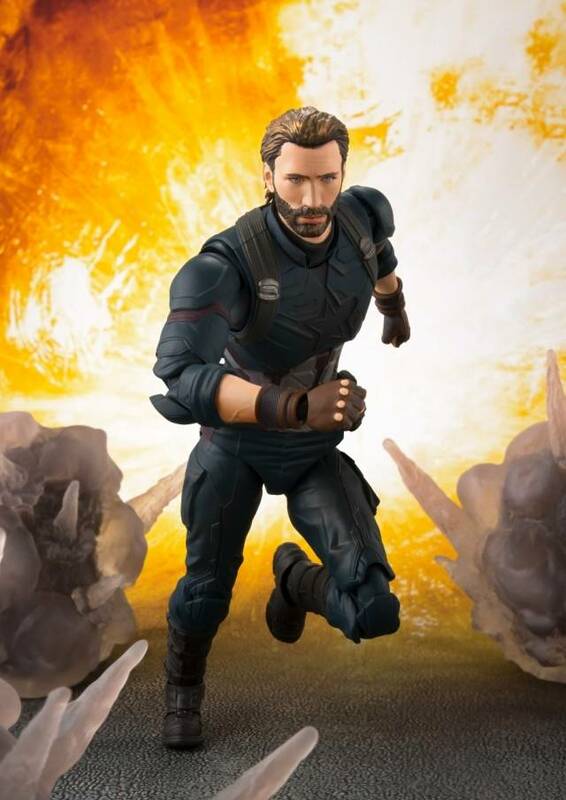 Donning a completely new sculpt, the Captain America (Avengers: Infinity War Ver.) is joining the S.H.Figuarts series! Battle damage detailing to his costume have been carefully replicated and a digitally colored head is included. Set includes interchangeable hand parts (2 left & 2 right), a new accessory, and explosion effects.